As more enterprise embark on the path to IoT, they face 2 obstacles: monetization and security. A number of them will stay in an analysis paralysis mode, while their competitors and the rest of the market progress. What they're really after is a secure path to growth that lets them experiment now without jeopardising their future. 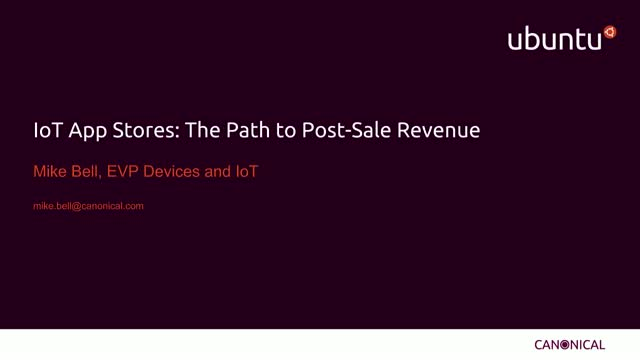 Over the last 2 years Canonical has been accompanying companies in the process of building their IoT business. At the heart of this approach are white label appstores built for the world of IoT that allow companies to launch secure managed devices now while creating an infrastructure for customer retention and future revenues.